​The A-Series magnetic benches provide Alternating Current magnetization for finding surface defects during wet method magnetic particle inspection. A-Series magnetic benches are available in one model: A-2030. 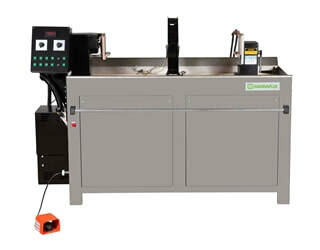 The A-2030 magnetic benches provide 3,000 amps of Alternating Current magnetization for finding surface defects during wet method magnetic particle inspection. The two outputs are independently adjustable to set each magnetic field, circular or longitudinal.